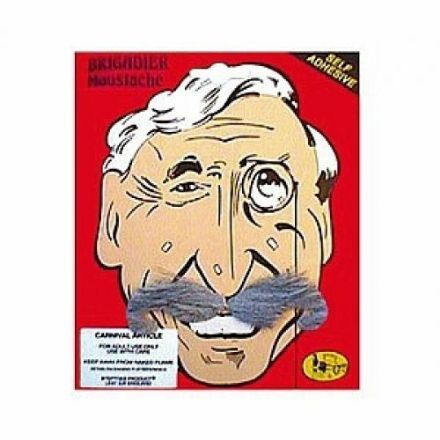 Every Lord or Duke needs an Aristocrat Moustache. Perfect for Fancy Dress Parties and Amateur Dramatics. 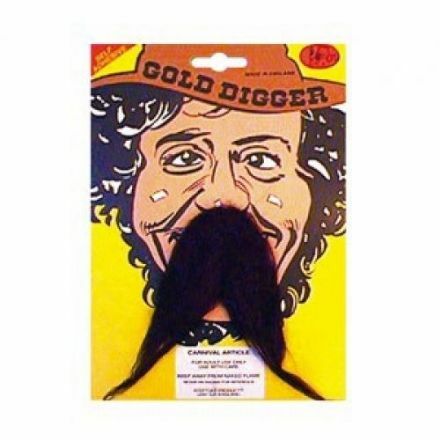 Black Gold Digger Moustache is the perfect accessory for a Wild West Fancy Dress themed Party. 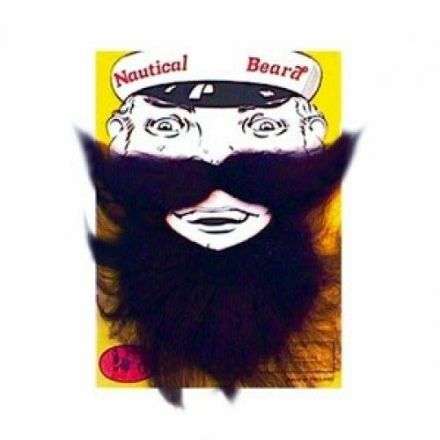 Every Master of the Sea needs a Black Nautical Beard. Let your friends and family know who’s really in charge. Batten down the hatches! 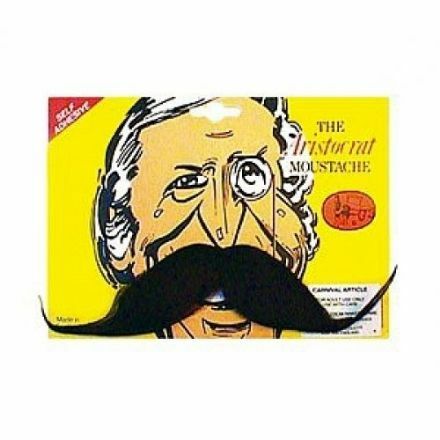 Become an old War Campaigner with this superb Brigadier Moustache. Brilliant for Fancy Dress Parties. Show your friends and family who’s really in charge with this superb British Sgt Major Moustache. 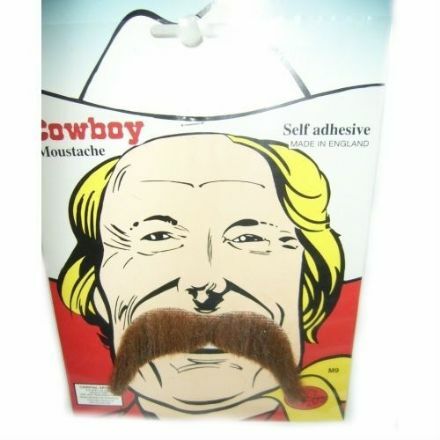 Instantly become Wyatt Earp or Jesse James with this brilliant Brown Cowboy Moustache. Great for Wild West themed Parties. 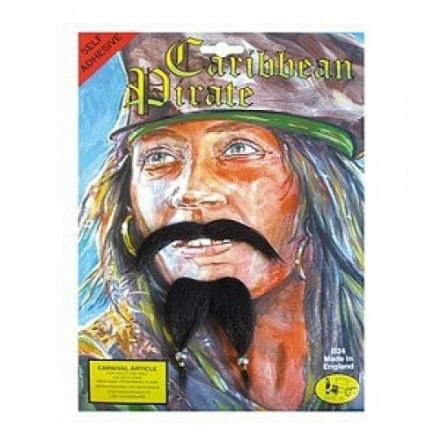 Instantly become Blackbeard or Long John Silver with this fantastic Caribbean Pirate Moustache & Beard. 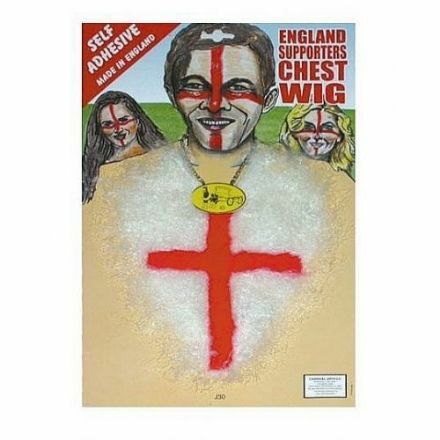 Show your pride, love and support for England with this brilliant Chest Wig. Come on England!!! 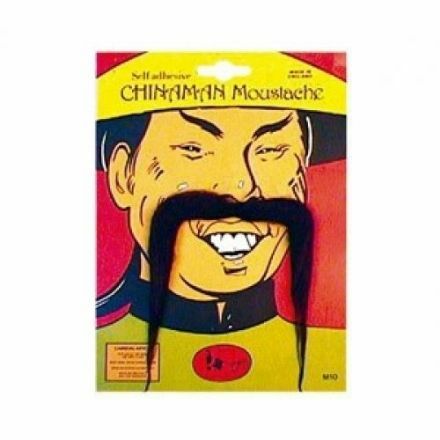 Chinaman Moustache. Perfect for a 1970’s Martial Arts Movie Character. 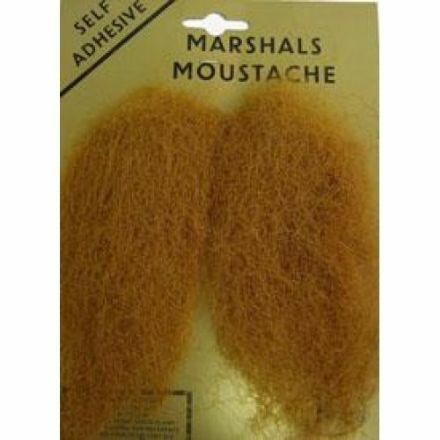 Add a little style to your Cowboy Fancy Dress Costume with this superb Deluxe Marshal Moustache in Ginger. 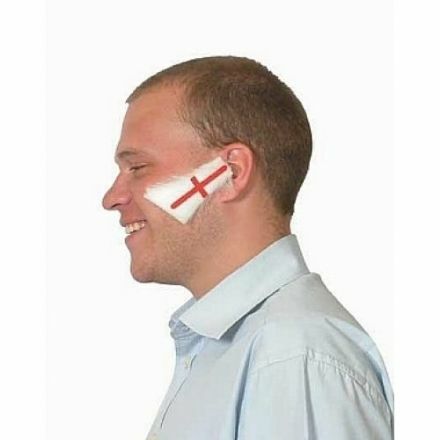 England Sideburns will add the finishing touches to your England Fancy Dress Costume. 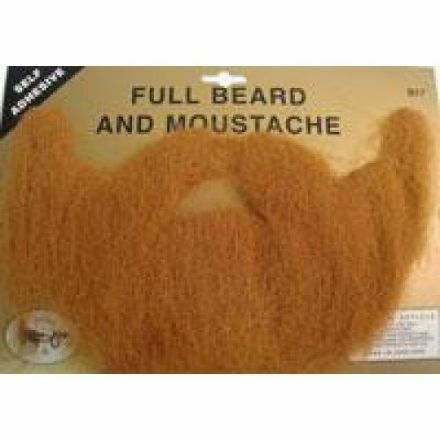 Full Beard and Moustache in Blonde will go with many different types of Fancy Dress Costumes. Perfect for Amateur Dramatics. 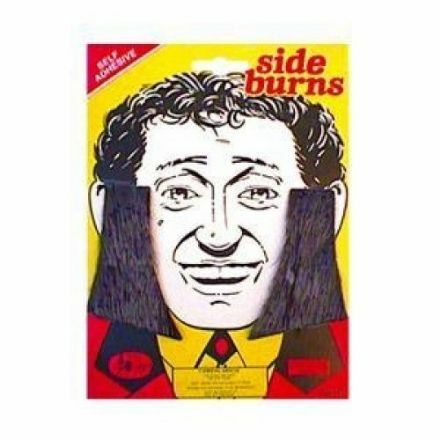 These Grey Sideburns will add the finishing touches to your 1950’s Teddy Boy Fancy Dress Costume. 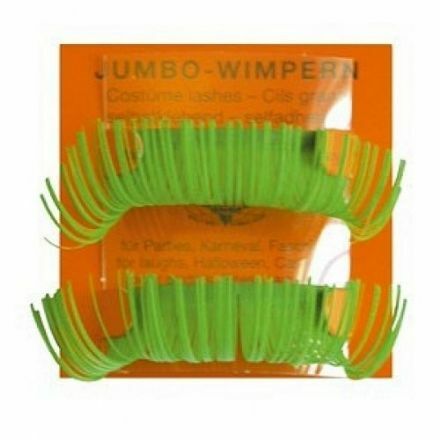 Green Eyelashes, they will help to make you the Wickedest Witch in the West. Lumberjack's Beard in Grey. Will go with many different types of Fancy Dress Costumes. 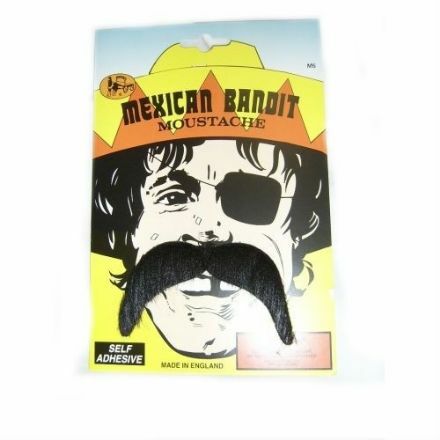 Mexican Bandit Moustache will instantly turn you into the famous revolutionary leader Pancho Villa. 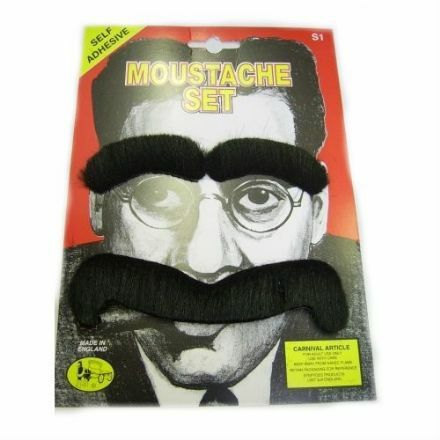 Become a Comedy Legend with this fabulous Moustache & Eyebrows. Great for Fancy Dress Parties. 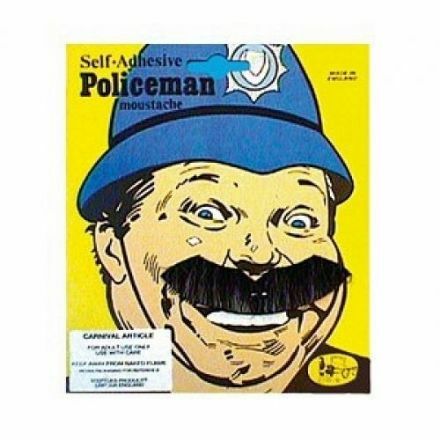 This Policeman Moustache is the perfect accessory for a Cops and Robbers Fancy Dress Party. Every Wild West Gold Digger has to have a Prospector Beard and Moustache in Ginger. Let’s find us some Gold! Rap Star Tache & Beard. 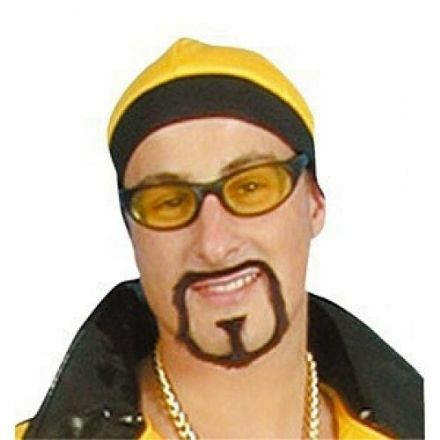 Great for Music themed Fancy Dress Parties, Stag Nights and Amateur Dramatics. 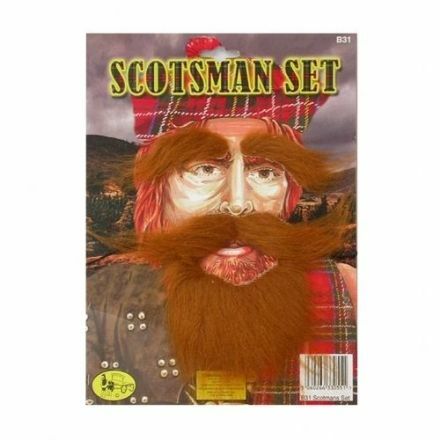 This Scotsman Set in Ginger will go with many different types of Fancy Dress Costumes. Perfect for St. Andrew’s Day and Burns Night. 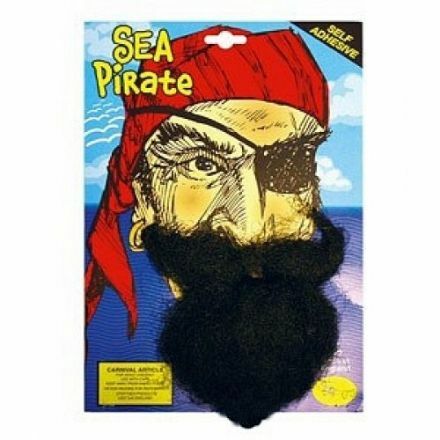 Instantly become Blackbeard or Long John Silver with this fabulous Sea Pirate Beard in Black. 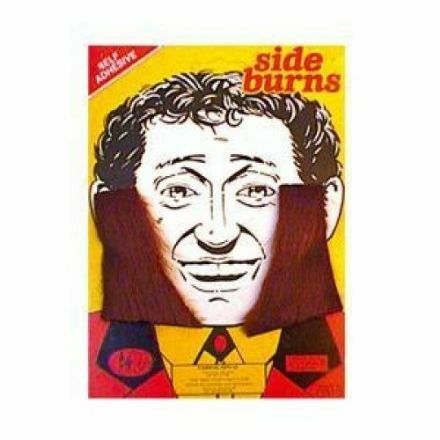 Instantly become a 1950’s Teddy Boy with these fabulous Sideburns in Brown. Brillaint for Fancy Dress Parties. 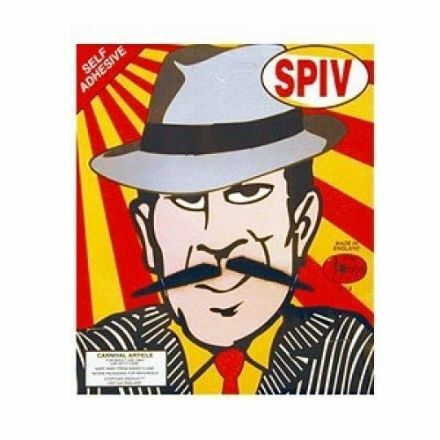 Every 1940’s Gangster needs a Spiv Moustache. Brilliant for Fancy Dress Parties and Plays. 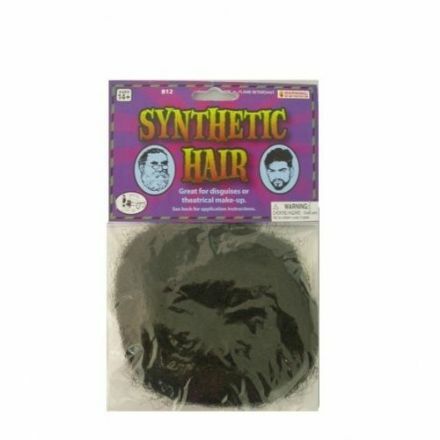 Synthetic Hair in Black is a must have accessory for Fancy Dress Parties, Stag Nights and Amateur Horror Films. 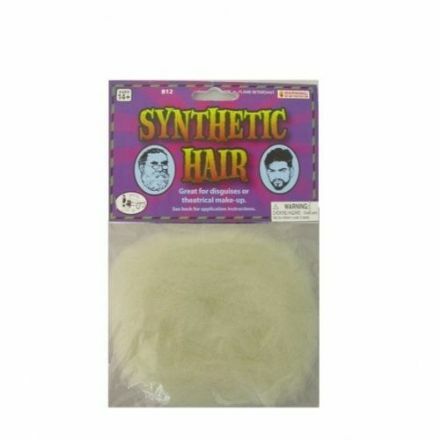 Synthetic Hair in White. 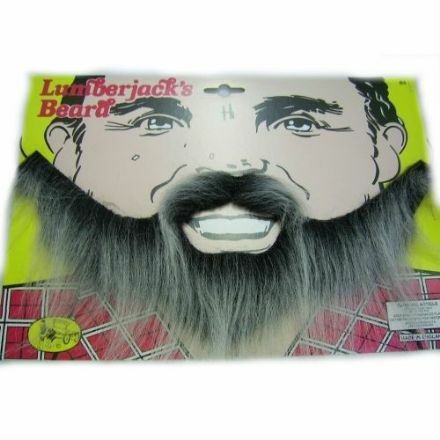 Instantly become an Old Wise Man or Santa Claus. Brilliant for Parties and Plays. 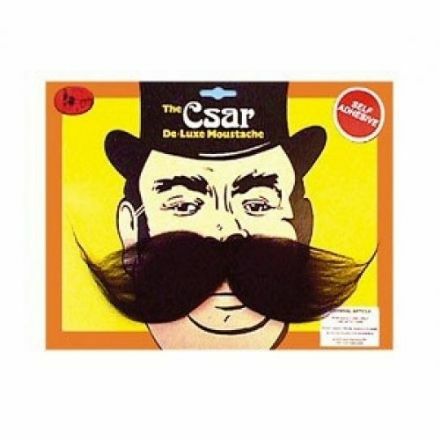 Become Lord of the Manor with this superb Csar Deluxe Moustache. Pip, pip, Tally Ho! 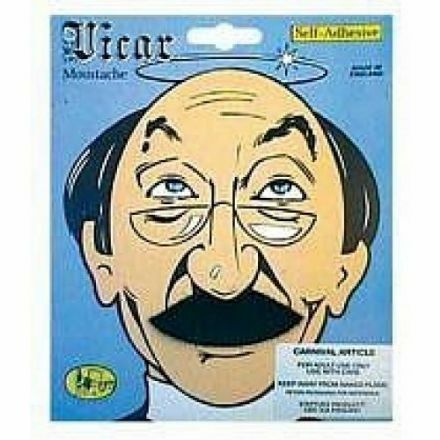 Vicar Moustache is the perfect accessory for a Tarts and Vicars Fancy Dress Party.